We counted to 29 in German, let's keep going! Sometimes when people want to protect buildings from getting hit by lightning, they will put a tall metal pole on the top of their building, connected to metal all the way down to the ground. Lightning electricity goes after the tallest and most conductive thing to strike, so it will hit the lightning rod and go straight through to the ground and not hurt the building. We just learned about the type of dog the German Shepherd. Another type of dog is the Scottish Terrier, sometimes just called the Scottie. The Scottie is a small dog with lots of energy and makes a great guard dog for homes. It has perky ears and a pointy tail, and has long hair. A bunch of US Presidents have owned Scottie dogs, and president FDR's dog Fala was always with him, so they even made a statue of Fala with a statue of the president. In the board game monopoly, the playing piece that is a dog is a Scottie. We just learned about the digital veins in the foot that bring used up deoxygenated blood from the toes back toward the heart. After the digital veins, the blood goes to the metatarsal veins. There are two, the dorsal and plantar. Dorsal is on the top of your foot, like the dorsal fin is on the top of a dolphin's back. And plantar is on the bottom, like when you stomp your foot sometimes that is called planting your foot. Tennessee is a state in the southeastern part of the US. It's nickname is The Volunteer State because in the War of 1812 they sent so many volunteers to fight for the US. It's state motto is Agriculture and Commerce for the farming and businesses of the state. 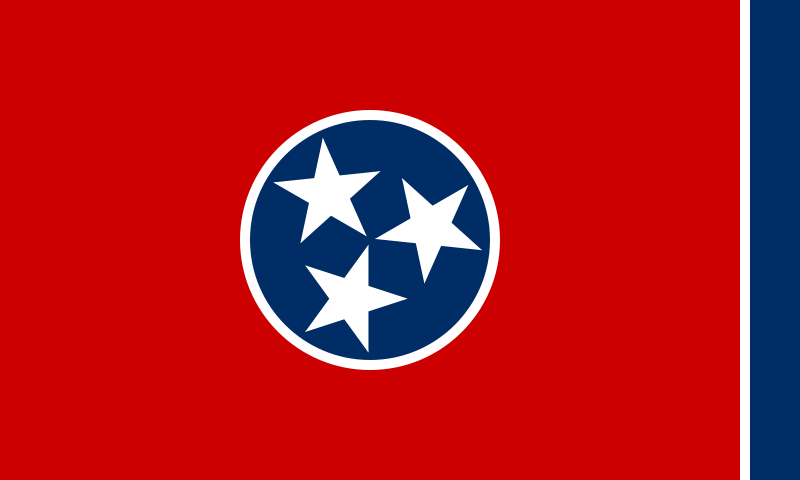 The flag of Tennessee has three stars on it, for the West, Middle and East part of Tennessee which are all very different from each other. The west side has lots of low flat land and is very wet and can grow lots of cotton. The middle has rolling hills and has the state's capitol. The east is mostly mountains and has the Appalachian mountain range going through it. 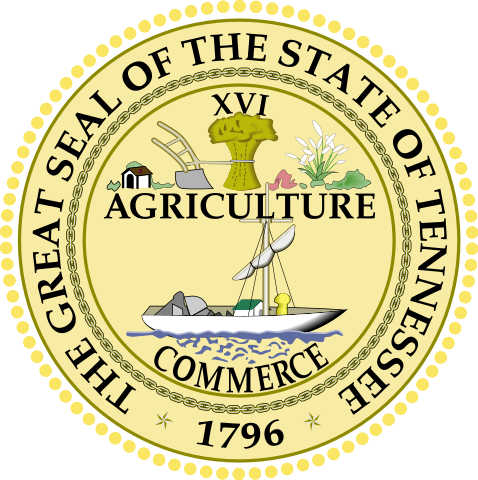 The seal of Tennessee has a plow, wheat, cotton and the word Agriculture on top, and a boat with the word Commerce on the bottom to show the importance of farming and river business in the state. The Appalachian mountain range goes through Tennessee. One of the mountain ranges there is called the Smoky Mountains. They got the name Smoky because of the fog that is around the mountains looking like smoke. The park there has the most black bears of any place in the US. Nashville, Tennessee is known as the home of country music, and had a big country music show called the Grand Ole Opry for a long time where famous country music singers would come and perform. The apostles went out into the world to spread the word of God. Philip the apostle was walking along the road and God sent him a meessage to tell him to go to a chariot that was coming down the road. Inside the chariot was a very powerful man from a place called Ethiopia who was reading about the prophet Isaiah, but he did not understand what it meant. Philip went with him and explained it, and the man believed and Philip baptized him. We just learned about the famous work of art Broadway Boogie Woogie by artist Piet Mondrian. Another famous work of art is Woman with a Bag by German artist Karl Schmidt-Rottluff in 1915. 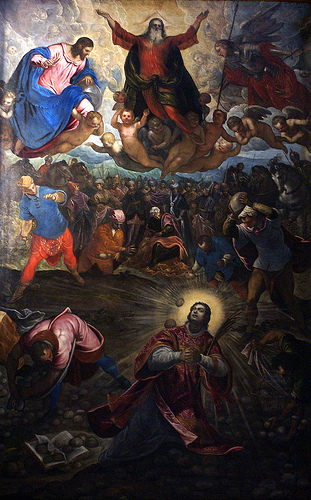 The artist finished this painting right before he left to join the military. The painting has dark colors and the woman looks sad to show the sadness of war. We counted to 20 in German, let's keep going! When lightning strikes, it looks for the tallest things around to zap. Trees get hit by lightning a lot, and sometimes having tall trees around a house can keep it from getting hit by lightning. The gooey stuff inside of a tree is called sap. Some trees like maple trees make enough sap to make syrup that you can use on pancakes. When a tree gets struck by lightning, that sap gets so hot that it turns into steam, and the steam blows out of the tree and blows off the bark on the outside of the tree. We just learned about the type of dog the Bulldog. Another type of dog is a German Shepherd. This type of dog is used a lot as a working dog, because it is very smart, very hard working, and really wants to have a job so that it feels like it is doing something good. German Shepherds have been used by the police to fight criminals, to use their sense of smell to find things that people are trying to hide, and even to sniff out hidden bombs. They work for the military to deliver messages, to be a guard dog, to scout for danger and even jump from parachutes. They work to rescue people in trouble, and they are also sometimes leader dogs for blind people. A dog that is working as a police officer is called a K-9 unit, because the word canine means dog. So we know that the arteries bring the oxygenated blood from the heart all the way to the toes. And the veins take the oxygenated blood from the toes and bring it back to the heart. Just like you might guess, the veins are called Plantar and Dorsal Digital Veins. South Dakota is a state in the midwest part of the US, just south of North Dakota. It's nickname is The Mount Rushmore State, and it's motto is Under God the people rule. 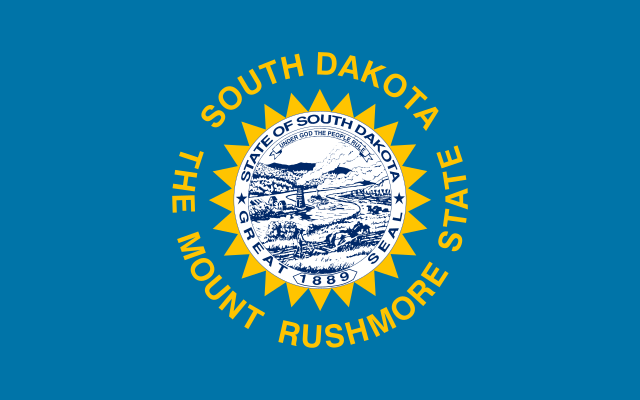 The flag of South Dakota is blue with yellow letters, and has a picture of the state seal in the middle surrounded by yellow triangles that look like the sun's rays. The state seal shows hills, a river with a boat, a farmer, a mine, and cattle for all the farming and nature in the state. Mount Rushmore is a large sculpture of the faces of four presidents, carved into the side of a mountain. George Washington, Thomas Jefferson, Theodore Roosevelt and Abraham Lincoln. Just like Mt. Rushmore, there are people trying to make a carving in a mountain of the famous Native American warrior named Crazy Horse. It is still being worked on, and the people making it started over 50 years ago. When the 12 apostles were out doing the work for Jesus, there were people who were asking for a lot of help but there weren't enough apostles. So they all got together and chose 7 other people to help out. One of the men was named Stephen, and he was a man full of faith. He went on to do great wonderful things, but he made the people who did not like Jesus angry. They got so angry that they put him on trial and even had him killed. We just learned about the painting Charing Cross Bridge by artist André Derain. Another famous work of art is Broadway Boogie Woogie by Dutch artist Piet Mondrian in 1943. When the painter moved to New York, he was impressed by the city streets forming a grid in New York city, and he really liked the music called boogie woogie music. The lines and sounds are for the cars and people moving all over in the city. And the colors help give the feel of the fun boogie woogie music. We counted to 15 in German, let's keep going! Remember that the four types of matter on our planet are solid, liquid, gas and plasma. And plasma is like a gas that is really excited and full of energy. When lightning discharges, the temperature changes very quickly as the lightning energy zaps to the ground in an energy filled plasma. Another type of dog is the bulldog. The bulldog is a short dog with a large head and shoulders, and crazy teeth. They have folded skin on their head and lots of extra skin around the face and head. The dog got the bull part in it's name because people used to put a bull and a dog together and make them fight and sometimes the dog would win even against a huge bull! The dogs don't fight the bulls anymore because it wasn't nice for the dogs or the bulls. After the deoxygenated blood goes into the venules they combine into larger veins. The veins are the tubes that go through your body, bringing the used up blood back to the heart to be refreshed with new oxygen. South Carolina is a state in the southeast part of the US, right on the Atlantic Ocean. It's nickname is The Palmetto State, and it's mottos are Dum spiro spero which means While I Breathe I Hope, and Animis opibusque parati which means Prepared in Mind and Resources. 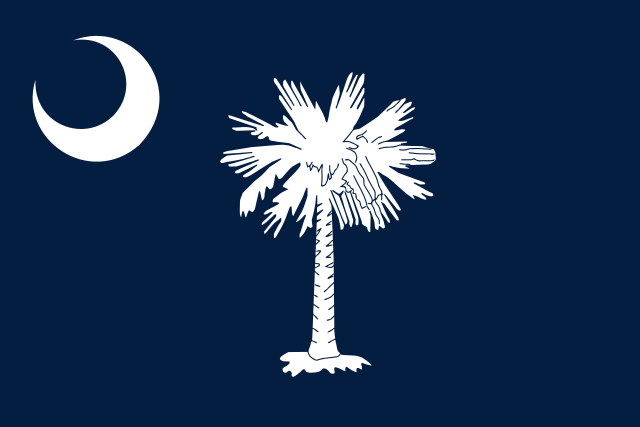 The flag of south carolina is blue with a white palmetto tree and a white crescent. The crescent is for soldiers that fought in the revolutionary war that used that crescent on their uniforms. The palmetto tree was very strong and when it was stacked on sand it could block canon balls that were fired, so it was an important part of the war. The first battle of the civil war was in South Carolina, at a place called Fort Sumter. One of the oldest buildings in South Carolina, built in the 1700s is called the Pink House, as it was built using Pink Bermuda Stone. The Citadel is one of the largest military colleges in the US. The 7th President of the US Andrew Jackson was born in South Carolina. He was president from 1829 to 1837. We just learned that when the lightning electricity zaps down or discharges it's called the Return Stroke. Most of the time when lightning zaps down in a lightning strike it is not just one zap, it is anywhere from 3 to 30! The flashes are so fast sometimes it looks like a flashing strobe light. After the first return stroke, the other zaps are called re-strikes. Rhode Island is a state on the northeast part of the US, right on the Atlantic Ocean. It's nickname is The Ocean State and Little Rhody, and it's motto is Hope. The full name of the state is State of Rhode Island and Providence Plantations. It is the smallest state in the US, but it has the longest name of any state. There are over 30 islands in Rhode Island. The flag of Rhode Island is an anchor with the state motto of Hope above it. It was based on the sentence from the Bible, "Hope we have as an anchor of the soul.". The oldest working chain suspended carousel is the Watch Hill carousel. A long time ago in Rhode Island they thought there were vampires because they didn't understand the disease known as tuberculosis. After Peter had healed a man, he and the apostle John were both put in jail. They were arrested by some of the leaders who did not believe Jesus was the messiah. They brought them in front of a bunch of powerful rulers and asked them how they healed the man. Peter said that he was healed by the power of Jesus who was crucified. They still did not believe Peter, but they were afraid of what would happen if they kept them in jail or tried to hurt them. Many people had seen Peter heal the man, and they knew that if they did something to Peter it would look very bad. So they yelled at Peter and told him not to talk about Jesus anymore. Peter said he was not going to listen to them and would still teach people about Jesus. They let Peter and John go, and they went on teaching people about Jesus. When the lightning leaders attach, the lightning zaps down in something called a discharge, and the discharge is called a return stroke. The electrons all come zapping down from the cloud, and it has about 30,000 amps! The current in amps that comes from a regular plug in the wall is about 20 amps, so a lightning strike is like 1,500 plugs! We just learned about the type of dog, the St. Bernard. 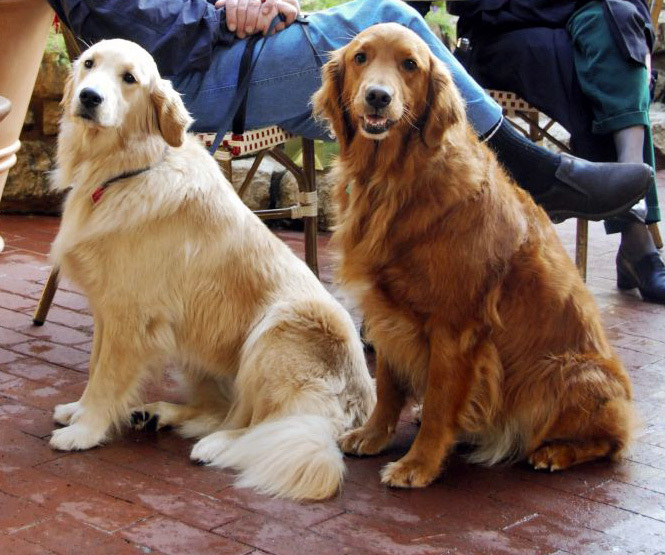 Another type of dog is the Golden Retriever. These dogs have been used for many years as hunting dogs, because they are very smart and can sit quietly with their owners who are hunting, they love going in the water, and they really want to make their owners happy so they love to go fetch whatever duck or bird or animal the hunter shot. Because these dogs are so friendly and smart, they have also become one of the most popular dogs to help lead blind people. They are not great guard dogs, because they are too nice!